1. To be enforceable, the no-smoking policy must be outlined in the lease agreement. Many landlords choose the easy option of attaching a Smoke-Free Lease Addendum to their existing lease. 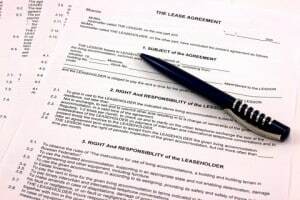 We’ve provided a sample of such an addendum in our post How to Draft a Non-Smoking Lease Agreement. Note that the addendum is signed by the tenant. In addition to adding that lease addendum, it is important to re-read your lease agreement and all other attachments, looking for contradictions or omissions. For example, does your lease also provide for a smoking lounge or permissible places to smoke? Does that contradict the Smoke-Free Addendum? If so, the contradiction must be resolved or the policy may fail. Do your house rules include the smoking ban? Review your remedies in the lease. You need to have the right to evict a tenant who violates the smoking ban. Be aware of any policies that require a warning before you take action against a tenant, particularly if that warning must be made in writing. 2. While the heart of the smoke-free policy is in the lease, in practice, it is easier to enforce those provisions if you make the non-smoking policy crystal clear to tenants from the very start. Include “no-smoking” in your rental ads to discourage applicants who aren’t sure they can comply with the policy. List your vacancies in smoke-free rental listing databases to increase the odds of finding applicants who embrace the smoke-free policy. Reiterate the smoking policy when you speak with prospects. Include no-smoking signs around the property. 3. A sample smoke-free lease addendum may only cover tobacco smoke — cigars, pipes and cigarettes. If you want to include smoking cannabis or other “herbal” cigarettes, it is best to be clear in the addendum. Enlist the help of a landlord attorney if you want to be sure your new lease is ironclad.